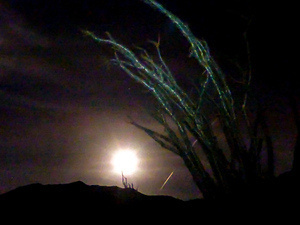 Experience a hike by moonlight! See the beauty of the shadows and wash of moonlight over our mountains. We will be looking for all types of night creatures along the trail. This is a family friendly hike. Bring 2 liters of water, a headlamp or flashlight, blacklights (if you have one), and wear closed-toed shoes. Sorry, dogs are not allowed on the trail. Registration begins at 6:45 PM. Your tax deductible donations are appreciated and encouraged.